Congratulations on your new hot tub! Aqua Pools is here for you over the long haul. Whether you’re wondering how your equipment works, need to know how to maintain your pool, or it’s time to open or close your spa for the season, we’ve got your back. While the sheer variety of hot tubs today is staggering (2-seater, 6-seater, 40-jet, 60-jet, acrylic, fiberglass … you name it! ), there are a few basic parts and pieces that are essentially standard on all spas, and it pays to get to know this equipment, so you can troubleshoot fast and get back to enjoying your soak! Cabinet – This is the exterior of the spa. These are made from a variety of materials, such as wood or plastic. Usually, cabinets are removable to allow access to the inner working parts for maintenance and repairs. Shell – This term is a bit confusing, because it sounds a lot like the cabinet. The shell is the interior of the spa, the part that holds the water. Usually, the shell is made of plastic. Jets – The jets are the parts that propel water into the spa. It’s what provides the therapeutic massage. Equipment – The insides of the spa include the pump, motor, heater, fiteration system, and insulation. In the Midwest, insulation is important to maintain a good temperature even when the weather dips below freezing. Cover – Some spas, such as Strong, come with built-in covers. Or, you can purchase a cover, even an automatic cover like Covana, to keep dirt and debris out of your hot tub and to help keep the heat in. 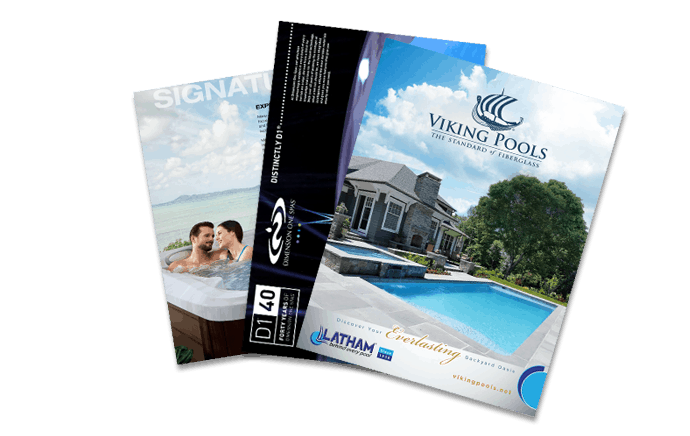 In addition to these basic features, your hot tub might also include “bells and whistles” like water features, video and audio systems. You can also purchase convenience items, like extra steps, towel racks, and drink holders. Most hot tub maintenance packages are based on a week-to-week schedule of testing the water and adding chemicals as needed. The advantages of the FROG system include premeasured chemicals and the ability to add the chemicals without having to actually handle the product. Some customers enjoy their hot tubs year-round. The rest can’t bear the thoughts of stepping into 100-degree water in the summertime, and so they close their spas in the spring and reopen them in the fall. Ideally, you should drain your hot tub of water before closing it for the season. This keeps the water from getting yucky and gunking up your equipment. Most years, the weather gets too warm to enjoy a hot tub around May or June. Improper closing is one of the most common reasons for hot tub damage. Closing properly helps assure that your spa is in ready-to-use condition come fall. Put the cover on the spa and flip on the circuit breaker on, and allow the air blower to run for about half a minute (if so equipped). This clears water from the air channels. Remove the cover and use a towel or shop vac to get all of the water out of the tub. Remove the filter and dry out the filter well. Turn off and unplug your hot tub. Dry the water from the jet piping with a shop vac on the “blow” setting. Replace and secure the cover. Usually, by September or October, Chicagoland begins to cool off, and it’s time to open the hot tub. Reconnect and tighten all fittings. Look to make sure the connections to the heater are tight and in good condition. Test and adjust the water using your FROG chemicals.